This is the tale of two towns on opposite sides of Sussex County Delaware. One is a rough and rowdy beach town, the other a quiet little historic town. But thanks to a millionaire, a powerful state representative, and two town councils, these two towns are now forever linked. This story started when a wealthy powerful lawyer from D.C., who owns businesses in both towns, decided he was being taken advantage of in the rough and rowdy beach town of Dewey Beach, Delaware. It seems that Mr. Alex Pires, and a few of his fellow business owners are tired of carrying the revenue weight for the entire town of Dewey Beach. In case some of you are not aware, Dewey Beach does not a have a conventional form of taxation. The town has no property tax, and so must collect revenue through fees and permits imposed on the homeowners and businesses. So if a home owner wants to cut down a tree they have to pay the town for a permit, and if a restaurant wants to push some tables out of the way and make a dance floor for one night, they have to pay the town for a permit. As one might assume, it is the business owners that end up paying the lions share of the cost for running the town and providing the services that all citizens benefit from. One can also assume, many of the business owners are not happy having to foot the bill for others who may not pay any tax. If a home owner never wants to take down a tree, or other act that would require a permit, they still receive the benefit of a year-round police force to protect their property, they still have street lights on their streets and all of the other services that are funded on the backs of the business owners. This is what led Alex Pires to file a law suit on behalf of his business, Jimmy’s Grill, in Dewey Beach. His law suit challenges the town’s authority to raise taxes and specifically business license fees. 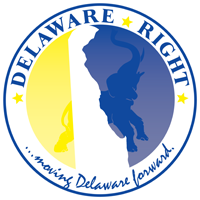 Unfortunately the Delaware Court of Chancery dismissed the case. So that was the millionaire and the rough and rowdy town, now enter the powerful state representative. That would be, Speaker of the House, Pete Schwartzkopf of the 14th Representative District of Delaware (D). Oh, let me mention that Mr. Pires lives in the 14th District, and Dewey Beach and Jimmy’s Grill are both in the 14th District. 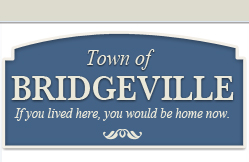 So now enters into our sad little tale the quiet little historic town of Bridgeville. Bridgeville and Dewey Beach couldn’t possibly be more different. Dewey is mostly a summer town that is currently having an identity crisis of trying to transition from a party town to a more family friendly community. Bridgeville is little changed over the years, the biggest change was the addition of the senior community, Heritage Shores. You might be asking yourself, what does a quiet little town like Bridgeville, on the other side of the county, have to do with a party town like Dewey, and its tax woes? Well you see, that pesky little HB 333 seems to have frightened the Bridgeville Town Commission. It seems as though they were so frightened, that they would lose their ability to raise taxes, that they went and raised taxes in an effort to do an end around of HB 333. During the Commission’s regular monthly meeting on May 12, 2014, Commissioner Kovak made a motion, and was seconded by Commissioner Mervine, that the Commission would not support HB 333, and would draft a letter to be sent to every member of the General Assembly stating their opposition of HB 333. It is important to note that Bridgeville’s regular meetings are held the second Monday of every month at seven in the evening. Why is this important you ask? Well, because it seems as though drafting a letter in opposition of HB 333 was not sufficient. The Commission wanted to hedge their bet a bit more. So they called a special meeting on May 28, 2014, a Wednesday, oh and to make it really special, they held it at ten in the morning, you know when business owners and most people are at work, and unable to attend. Now they did do the bare minimum in making a public announcement of the meeting, but even so, few were informed, and few showed up. Well what do you think this special meeting was all about? That’s right friends and neighbors, raising taxes. In the section of the minutes relating to this little shell game it is listed as, ” Public Hearing, Discussion and Possible Voting on An Ordinance To Amend Chapter 128 Of The Code Of Bridgeville Relating To Fees To Increase The Property Tax”. So you see, it seems as though they came there knowing they would be voting on this increase even though very little input had come from business owners and residents. The increase was passed, even though one Commissioner was unable to attend the special meeting due to medical issues. It is an increase of 20%, this on top of increases in water and sewer. Now to be fair, the town is facing some challenges. They are facing possible loss of revenue from the transfer tax, and they are mandated to make updates to the waste treatment plant, even though the town still owes on the last mandated upgrades. However, there are statements in the minutes from the special meeting that point to the fact that a 20% increase was not needed at this time, but it seems as though the town wanted to get as much as they could, while they could, before HB 333 was passed. Commissioner Mervine is quoted as saying, “it was his suggestion to go with the 20% increase now, rather than several smaller increases over time.” Commissioner Mervine also advised that initially the Commission considered a 10% increase, but decided that 10% would not be sufficient long-term. This also seems to point to a fear on the part of the Commission, they might not be able to come back even next year to increase taxes if needed. Let me point out very clearly, I am opposed to HB 333 in any form, with any amendments. Towns should have the right and authority to govern as they see fit, and let the voters decide if they are doing a good job or not. I am just as opposed to how Bridgeville went about this. It seems to me that the Town Commission attempted to pass this increase with as little input, and response as possible from businesses and citizens. I can tell you that there is a backlash growing within the community, and there is a push to revisit this issue at the next monthly meeting. What this really demonstrates is that when you have government attempting to centralize power and authority bad things happen. In this case you had a business man who was not happy with his local government, and when the courts failed to satisfy him, in came the state with its heavy-handed solution of punishing all towns by removing their sovereign rights to govern locally, which in turn forced a small town to turn on its citizens in an attempt to circumvent the system. What needs to happen here is that HB 333 needs to die. Alex Pires needs to work to change Dewey’s antiquated form of revenue generation, and impose a property tax on all property owners so that everyone pays their share. Bridgeville Town Commission needs to rescind this tax until the public has had a chance to be informed properly, and to give feed back. Maybe the most ironic thing about this tale of two towns is the fact that Alex Pires may have gotten this whole thing rolling with his law suit for lower taxes in Dewey, but in the end he will be paying higher taxes on his business in Bridgeville, isn’t life funny? 4 Comments on "If You Lived Here, You Would Be Paying Higher Taxes Now"
I love how you tied two disparate towns together with one common thread. Is Jimmy’s Grill the same one Dan Gaffney does his show from on Fridays? Interesting article, Frank. I do understand though that a big source of Dewey’s revenue stream comes from a 3% property transfer tax. Sussex County gets half and Dewey gets half. Rednecks, yes the same Jimmy’s Grill. You know what really frosts me? It’s the estate tax! I mean they only exempt the first 5.5 million from taxation and it’s not fair to all these people who have to survive on CEO’s salaries who have to outsource jobs like mine to Chinese kids in order to survive. Besides me and the boys in Sussex are all counting on inheriting our parent’s trailers and their Social Security savings. How can us regular guys get a break with such unfair taxation lol!